FROM CAR WASH MAGAZINE: When in drought ... - Lee Soap is a industry leader providing turn-key products and solutions for the Automotive Care, Warewash, Laundry, industrial and janitorial industry. 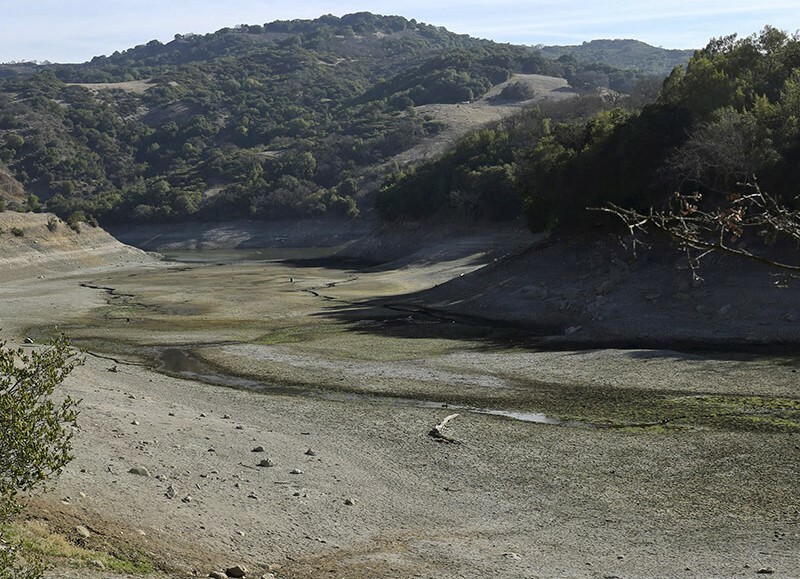 The nearly dry bottom of the Almaden Reservoir is shown near San Jose, California Jan. 21, 2014. When it comes to a dry spell, car washes make an easy mark. Operators know it, to be sure, but they often fail to communicate with customers and regulators. But, like car washes, those industries sometimes stand out when a drought brings dried lawns and concerns over the availability of quality water. For instance, when drought hit California last summer, car wash owners had a big target on their backs. Auto manufacturer Volvo launched a “drive dirty” campaign — along with its own brand of waterless car wash solution. A Los Angeles-based water conservation organization offered car magnets for those who would “Go Dirty for the Drought.” At the other end of the extreme: California Gov. Jerry Brown’s emergency measures banned car washing, except at professional services firms with reclaimed water. While these sorts of actions may create a feel-good moment during a significant crisis, they ignore the fact that professional car washes today use significantly less water than at-home washing. An added benefit: Professional car washes treat water while homeowners have no way to recapture the soapy water, allowing it to wash into streams. Even self-serve washes — including those without water reclamation systems — out-perform bucket washing. That’s one of the reasons that ICA has developed its WaterSavers program, which rewards car wash operators for improving water quality and conservation. The WaterSavers program was introduced as a way to help educate consumers at the grassroots level by providing marketing resources to help operators communicate their message of environmental responsibility while supplementing those efforts with consumer marketing campaigns, including blogger outreach, pre-packaged press releases, digital media buys and Google AdWords efforts. The program also created a model drought response plan for operators to use when working with water regulators to help educate them on actions to take during dry periods or droughts. Steps include banning at-home washing except on certain days (in the drought’s earliest stages) to offering a surcharge on commercial water use (with an exemption for locations using treated waste water) during the driest stages. The drought in the Southwest — particularly California — is more long-term in nature and won’t be solved with a few rain showers. In February, for instance, much of the state was still in a state of extreme drought, though January brought heavy rainfall and an above-average snowpack. The California State Water Resources Board has extended drought-related emergency regulations through at least summer. According to the federal drought monitor for February (www.drought.gov/drought), New York, Hawaii, New Hampshire and Texas also were abnormally dry. Most of California, Oregon, Idaho and Nevada were in various stages of drought. With the aging infrastructure — and the demands on ratepayers to fix it — rates aren’t headed down anytime soon, Ruder and Hirsh both say. Regardless of what is driving the issue — a drought, environmental concerns or financial concerns — the industry has an important story to tell. Moore recommends car wash operators work with their local communities well in advance of any crisis. And it helps to properly explain reclamation to offset exorbitant sewer rates since most municipalities assume that all the water going in must also go out. Not so with reclamation systems. For more in-depth content on topics that matter to your business, don’t miss the latest issue of CAR WASH Magazine.